Well,Well,Well…Are We Going To Be Able To Buy A Latte In Sackvegas?? 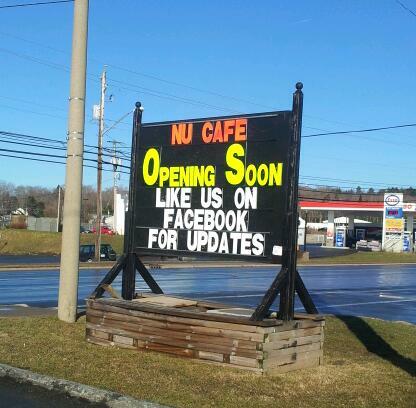 “Nu” Coffee Shop! | Sack-Vegas!!!! Lookie lookie! Maybe someone actually read all of our tweets demanding a proper cafe in Sackvegas! This new place will be opening down in the plaza where Kaizers is. They have a Facebook page (below link) with info on it and they will keep us updated. Exciting!!!!! Posted by Sacky on April 17, 2013 in Welcome To Sackville! and tagged coffee, Nu cafe, Sackville.